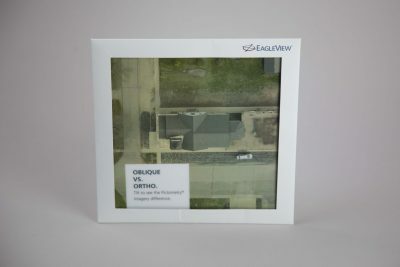 EagleView is a leading provider of aerial imaging and data analytics, with solutions that allow tax assessors remote assessment capability to property assessors through oblique and orthogonal imagery. 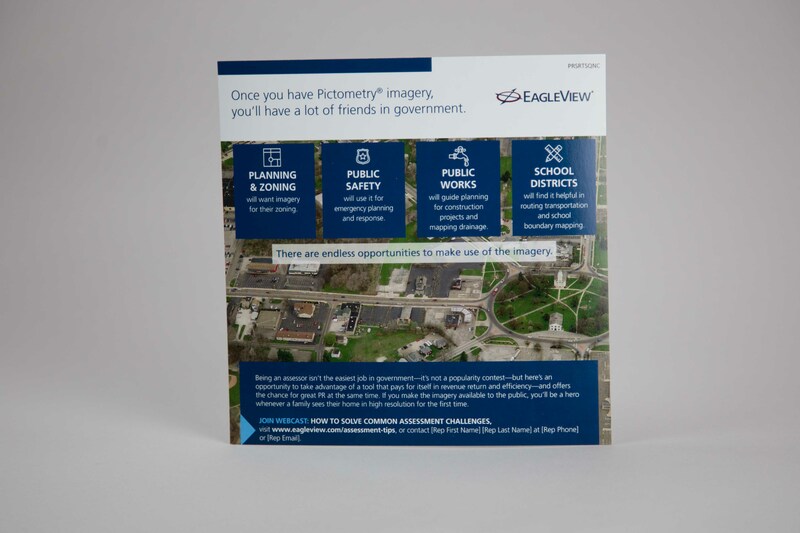 EagleView currently does business with half of the 3,142 counties in the United States, and wanted to develop a multi-touch lead generation program to tax assessors in remaining counties. 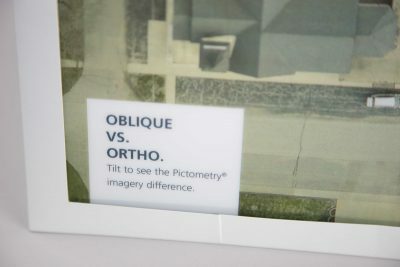 Lenticular printing, a 2-D technology that allows a viewer to change the displayed image with a flick of the wrist. The two alternating images showed the difference between orthogonal and oblique imagery when assessing a property. 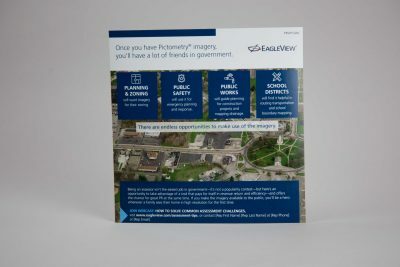 The mailer shipped in a clear envelope so recipients could immediately see and engage with the lenticular image. 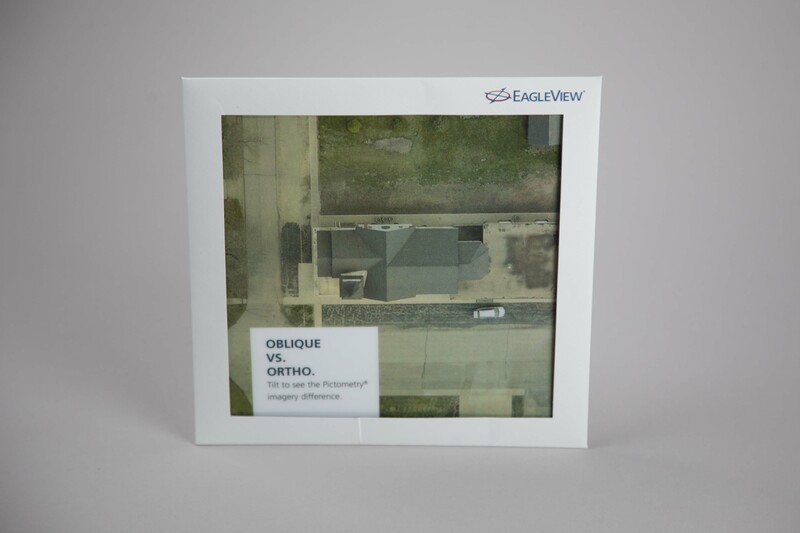 Inside, benefit sheets provided detail on how a residential property tax assessor can use oblique imagery in his/her job to uncover hidden tax revenue that would otherwise go undetected, as well as support other local government agencies. The piece communicated a clear call-to-action and offer: visit the landing page to access the EagleView educational webcast, or contact your rep. 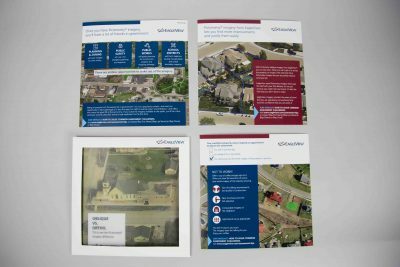 The campaign was also supported by a cadence of follow-up emails and telemarketing, timed out based on account-specific factors including county budget cycles, product renewal schedules, and property assessment timelines. To date, the direct mailer has surpassed objectives by a landslide and generated an 8:1 ROI!